The work on the left (below) is called “Ngatu Tupenu Tā’uli'” (Black-marked cloth) and was produced as a collaboration between Benjamin Work and Fauniteni ‘o e Mo’ui, a central Auckland-based Tongan Women fine arts collective from the Dominion Road Tongan Methodist Church. The work on the right is called “Three Kete“; the design was created by Leilani Kake and produced with the knowledge and fine hands of the Cook Islands Mamas led by Master Tīvaevae artist Mary Ama and supported by Annabelle Wichman Hosking, Tukua Turia, Tutana Tuaeu, Mata Te Pai and the Pacifica Mamas of the Pacifica Arts Centre, West Auckland. I’m also super proud to have work that I’ve been part of on display in this building: six large scale photographic portraits made by Vinesh Kumaran and I at the ASB Polyfest in 2015 are on permanent display on the exterior facing wall of the theatre. I spent four years studying at MIT completing my undergraduate degree, three semesters teaching there and many, many hours in and around the campuses in Ōtara and Manukau. I’m a big fan of the work the Institute has done to increase Pacific achievement in tertiary education, and this new campus is quietly becoming a hive of conscious Pacific art activity! Red Tape (2014) by Anita Jacobsen, 500x500mm, C type print, framed. Raised in Papakura, South Auckland, Anita Jacobsen is an Auckland-based photographer of Norwegian and Samoan descent. In 2009 Anita completed a Bachelor of Fine Arts majoring in photography at Whitecliffe College of Art & Design, she then went on to gain a Master of Fine Arts from Whitecliffe in 2014. Anita has exhibited nationally and internationally. She was a finalist in the 22nd Annual Wallace Art Awards in 2013 and in the same year was a finalist in the Auckland Festival of Photography, and was selected for the Pingyao International Festival of Photography, in Shanxi China. Left: Burotu (place of departed spirits), Viti, 2014. Right: Saint Peter (the camouflage act), Barbados, 2016. Torika Bolatagici was born in Tasmania and spent her early years living between Hobart, Sydney and her father’s village – Suvavou, Fiji. Torika is a lecturer in the School of Communication and Creative Arts at Deakin University, Melbourne where she teaches contemporary theory and practice. Her PhD ‘Somatic Sotia: Commodity, Agency and the Fijian Military Body’ was recently submitted for examination at the School of Art and Design, University of New South Wales. Torika works across a range of media, including photography, video and mixed media site-specific installation. Her interdisciplinary practice investigates the relationship between visual culture, human ecology, postcolonial counternarrative and visual historiography of the Black Pacific. 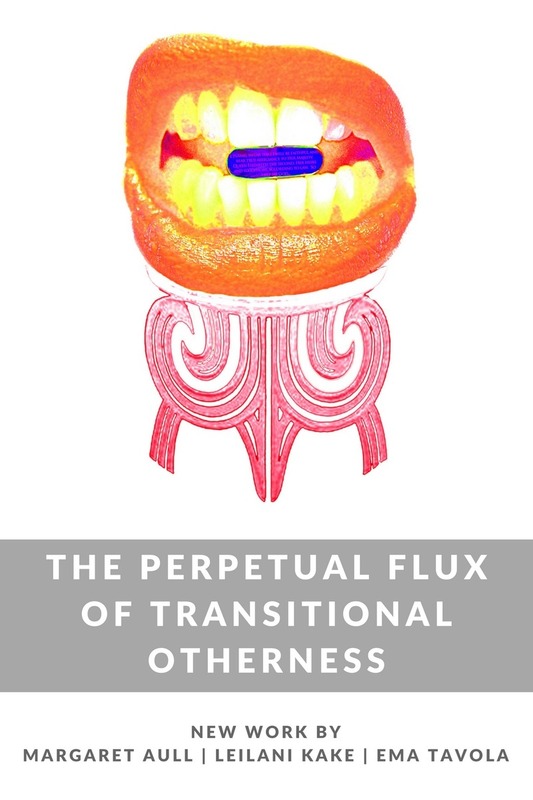 She is interested in exploring the tensions and intersections between gender, embodied knowledge, commodification, migration and globalization. Her work has been exhibited in New York, San Francisco, Mexico City, Yogyakarta and throughout Aotearoa New Zealand and Australia. She has published in peer-reviewed journals and presented at local and international conferences and symposia about the representation of mixed-race identity; Pacific arts practice in Australia and Fiji; representations of teachers and teaching in cinema; and gender and militarism in the Pacific. In her role as Symposium coordinator for the Contemporary Pacific Arts Festival in 2013 and 2014, Torika curated multiple panels to extend the discourse around contemporary Pacific arts practice in Australia and invited speakers to reflect on themes such as art and activism, museums, collecting and curating, cultural appropriation and contemporary practice. She also produced the symposium publication Mana Motu (2013/14). As well as 12 years experience teaching at tertiary level, Torika also has also facilitated youth arts workshops for the local Pacific community. Including Pasifik Young Artists (Léuli Eshraghi) (2013); Patterns and Portraiture (Salote Tawale) at SIGNAL youth arts (2014) and was the Creative Director of the Pacific Photobook Project (2014-15). 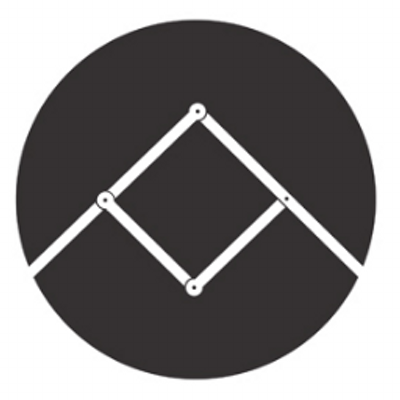 Torika presents the Community Reading Room – a pop-up destination for research, community discussion and engagement around international visual arts and culture, with a particular focus on contemporary art and theory from Oceania, Africa and the Americas. The Community Reading Room has appeared at Colour Box Studio (2013) and the Footscray Community Arts Centre (2014). Tyla Vaeau Ta’ufo’ou is a visual artist and tatau practitioner of Samoan (Sale’a’aumua, Aleipata and Safune, Savai’i) and Pakeha descent. In 2009 she graduated from the University of Auckland with a BA in Art History and a Bachelor of Fine Arts. Since then she has continued to develop her tatau practice, currently working at Karanga Ink – a Maori, Pacific, Indigenous tattoo studio. Tyla also recently completed a Masters of Arts in Art History focussing on contemporary Samoan tatau as intertwined with notions of travel and migration. 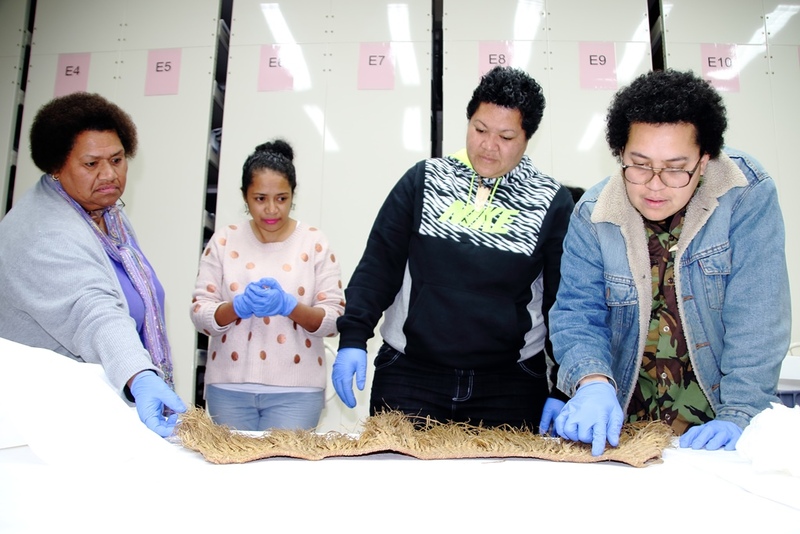 Working in a variety of areas, Tyla’s practice explores cross-sections between representation, tatau, diasporic identity and cultural heritage. Samoa mo Samoa (2004) by Genevieve Pini, 290x195mm, edition of 3, signed inkjet prints on Hahnemühle Matt FineArt paper. Framed NZ$200 / Unframed NZ$160. Samoa mo Samoa is a photograph you made in 2004, what is it about and where was taken? Samoa mo Samoa means Samoa for Samoa, it’s the motto of the Mau Movement. Just seeing it in South Auckland made me open my eyes a bit about how we relate to our history, being where we are. I didn’t do the tag, but I liked the politics of it… it was a good feeling seeing it on Othello shops in Otara (heart of South Auckland), I was just waiting for the bus when I saw it. It’s about claiming space, and it was up there for ages. It made me think, where is the place of our histories in our everyday life in New Zealand? It’s in the people. Otara and Samoa are significant anchors in your life and art practice, something strongly present in your work based on the process of getting your malu in 2003. I know it was a significant juncture in your life; it bonded your blood to this land, and your present (and future) to your past, Samoa to Otara. I’ve always loved how your photograph, Fa’amalu, captures the moment of excitement and intrigue before you got tattooed, how did your malu change your life and outlook? Watching my dad going through his pe’a, the sight of seeing his blood, thinking ‘oh my god, that’s my dad, doing his thing for his family’. My dad, comes from Samoa, lives in Otara, does all this stuff for his family… working, sending money back home, keeping traditions alive. I feel proud. And of course a certain obligation to do my part through art. I know from experience that my art doesn’t financially support my family’s Samoan fa’alavelaves and stuff but as long as I can represent them the best way I know how, I love doing art. My malu gives me a sense of pride, knowing that my family are behind me and supporting me. When you get down to it, it represents love. 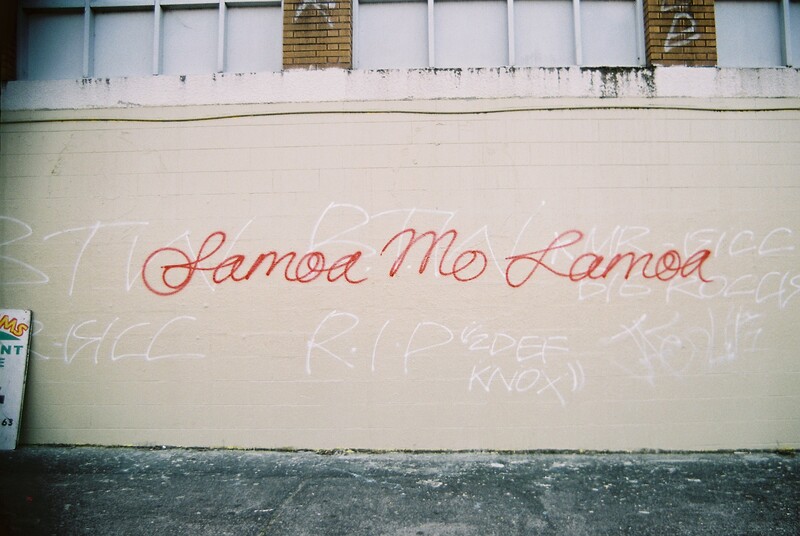 What does Samoa mo Samoa mean to you today? Featuring Faafeu Kapeneta, Ana Lakusa, Qingze Nan and Genevieve Pini. On West Papuan Independence day—1 December—a group of indigenous Maori and Pacific women performers will stage an artistic intervention in Queen Street, central Auckland, to raise awareness of human rights abuses in West Papua. Despite risking long jail sentences West Papuans continue to mobilise and raise the banned Morning Star flag on 1 December. The performance will begin at 10:30am and travel from Selwyn Muru’s Waharoa at the entrance of Aotea Square, down Queen Street. With support from West Papua Action Auckland (WPAA) the Morning Star flag—the flag of West Papua—will be raised in an act of solidarity. Leilani Salesa, a member of WPAA and coordinator of the performance, said: “We are staging this artistic intervention because our freedom as indigenous Maori and Pacific women in Aotearoa/New Zealand is inextricably bound up with that of our indigenous West Papua brothers and sisters. We call on all New Zealanders to take notice, that at this very moment in the Pacific, there is a genocide taking place”. The performers will join a day of mass action worldwide, with demonstrations planned in Melbourne, Brisbane, Port Moresby, London, The Hague, and many other places. 1 December is the anniversary of the 1961 West Papuan Declaration of Independence from Dutch colonial rule. In 1963 Indonesia took military and territorial control of the administration of West Papua against the will of the indigenous population. Human rights groups estimate that some 100,000 West Papuan people have died in the ongoing conflict. West Papuan people are constantly terrorised by the Indonesian military, paramilitary police and intelligence agencies, while movements of journalists and humanitarian workers are excluded or tightly restricted. Despite risking long jail sentences West Papuans continue to mobilise and raise the banned Morning Star flag on 1 December. Globally there is a growing movement of solidarity for West Papua and recognition of the need for urgent action. In September 2013 Prime Minister of Vanuatu Moana Kalosil Carcasses called on the United Nations to urgently appoint a special representative to investigate allegations of current and historic human rights abuses in West Papua as well as West Papua’s political status. Kalosil said West Papuans had been consistently denied any sort of recognition by the world body. A 2013 report in the Griffith Journal of Law and Human Dignity by Dr Jim Elmslie and Dr Camellia Webb-Gannon shows the Indonesian Government is responsible for genocide in West Papua. The authors found that accumulated evidence over the past 50 years is now of such strength that it meets the criteria for genocide set out in the 1948 Genocide Convention. An online campaign Papuans Behind Bars launched in 2013 documents the growing numbers of political prisoners in West Papua, many of whom have suffered arbitrary arrest, violence, abuse, torture, unfair trials, intimidation and neglect. The current Police Chief Tito Karnavian trained in New Zealand in 1998 at our Defence College. He is believed to be responsible for the current repressive policing practice. In 2013, the New Zealand Government announced plans to restart its Papuan Community Policing programme in West Papua. Canadian human rights activist Jeremy Bally visited New Zealand in October as part of his 12,000km international cycling and performance tour Pedalling for Papua. The Free West Papua Campaign, co-launched by West Papuan Independence leader Benny Wenda (who visited NZ in 2012) now has permanent offices in Oxford, The Hague and Port Moresby. Likewise the International Lawyers for West Papua and International Parliamentarians for West Papua are growing in numbers. Also driving this global movement are numerous largely volunteer run organisations and campaigns coordinated by solidarity activists and West Papuans living in exile (see Rize of the Morning Star). West Papua Action Auckland (WPAA) is an informal and independent group of volunteers that share a commitment to support and promote human rights in West Papua and maintain a watching brief on NZ Government policy. As a solidarity organisation, WPAA believes that specific campaigns should be influenced by the kinds of campaigns and priorities taken by West Papuans. 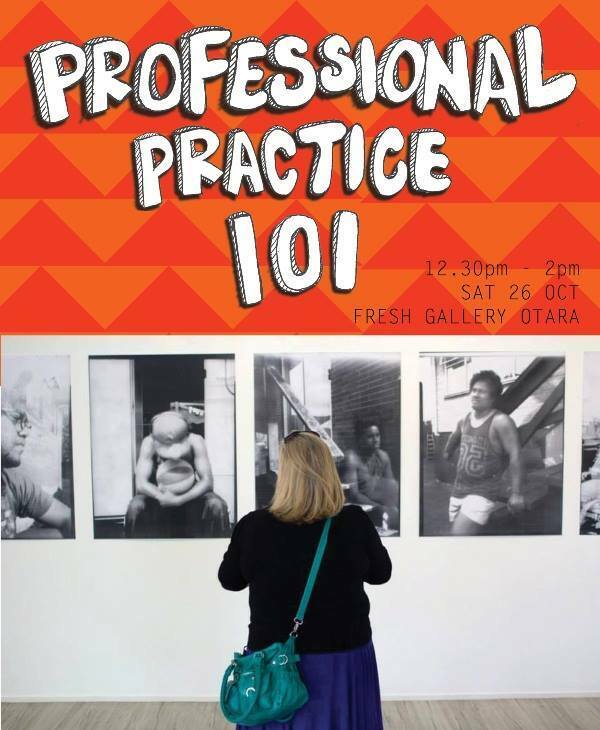 As part of the exhibition, Fresh Out of School, MIT Faculty of Creative Arts alumni Nicole Lim and Ema Tavola are presenting a crash course in visual arts professional practice at Fresh Gallery Otara from 12.30-2pm on Saturday 26 October. 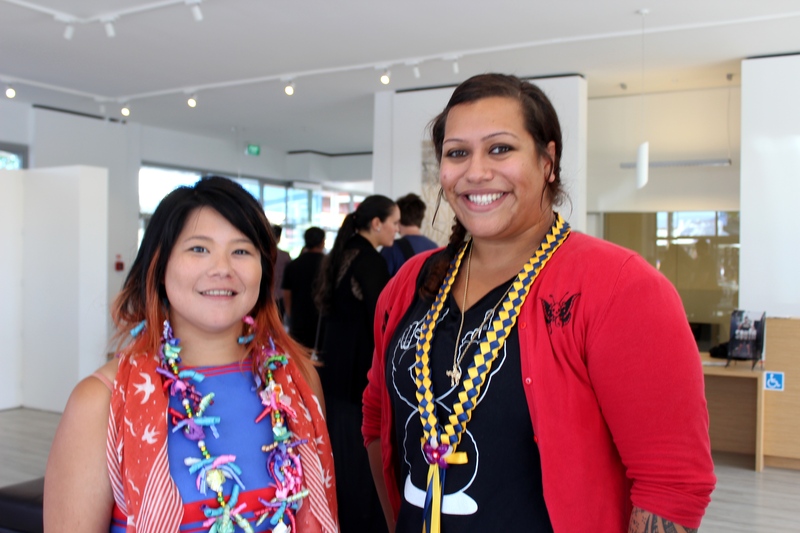 Graduating with degrees in Visual Arts, both Nicole and Ema have spent most of their professional lives working at Fresh Gallery Otara and within the context of local government community arts delivery in South Auckland. Combined, the two have over 10 years worth of knowledge and experience from working with emerging and established local, national and international artists from diverse backgrounds. They have both developed strong professional practices in the areas of project management, administration, collaboration and partnerships.